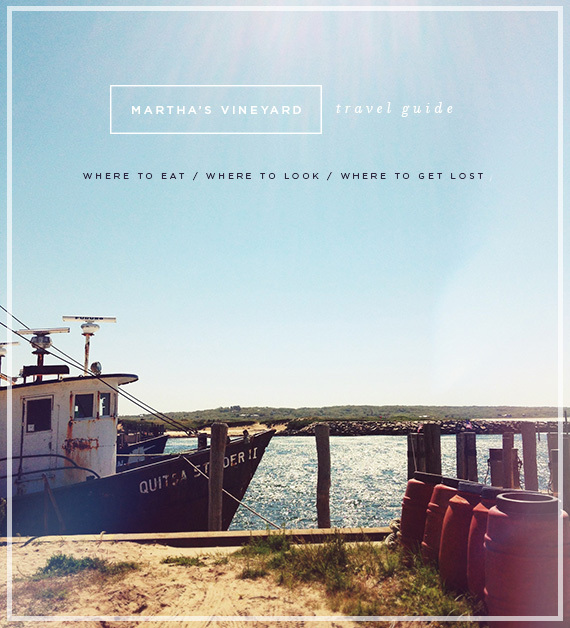 it takes a long LONG time to get there, but once you’re on martha’s vineyard, you don’t want to leave. at least i don’t. the island has so much age and personality and just a general sense of amazing energy. hitchhiking is legal, no one locks their doors, no one dresses up, and everyone greets each other everywhere you go. not to mention you can eat seafood for every meal and hopefully see some of the best sunsets ever. i’ve been going since i was a kid and i’ve never been on the island without fantasizing about what i would spend my days doing as a full time islander. 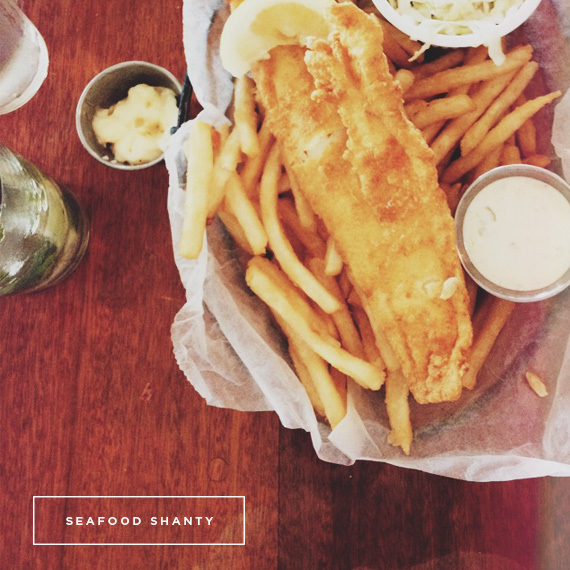 ~ you’ll notice i ate a lot of fried fish. when in rome. 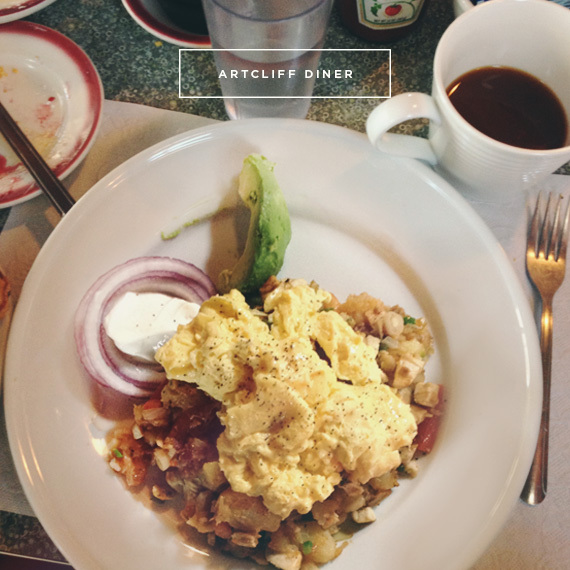 ARTCLIFF DINER (vineyard haven) absolute favorite breakfast spot. 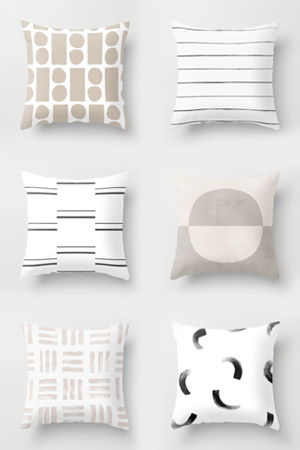 you can’t go wrong with any of the creative specials of the day. i also recommend the spicy chicken hash (pictured), the bulls eye, and if they have it – the cap’n crunch french toast. BISCUITS (oak bluffs) like the name suggests, get some biscuits. 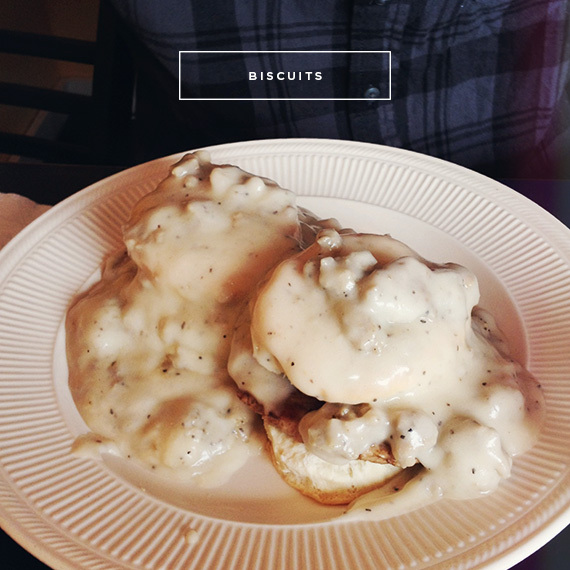 covered in gravy or a biscuit breakfast sandwich. OFFSHORE ALE CO. (oak bluffs) a fun bar / restaurant with a peanut covered floor. 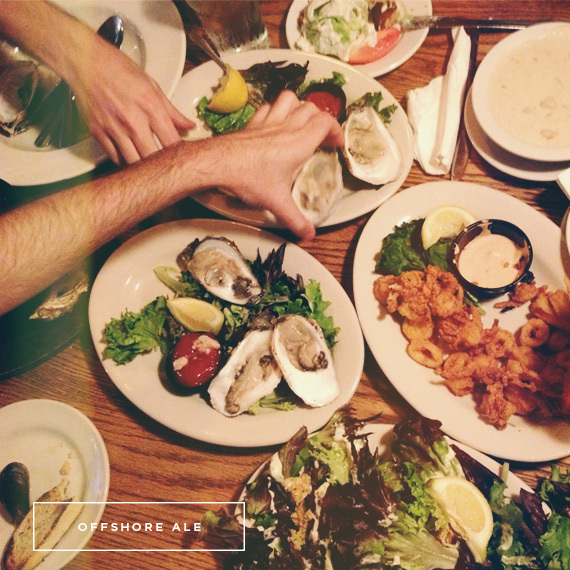 great oysters, great mussels, great beer. my favorite is the east chop lighthouse ale. SEAFOOD SHANTY (edgartown) edgartown has some of the fanciest restaurants on the island, but seafood shanty is a great place for cocktails and fried fish with a great view of the water. 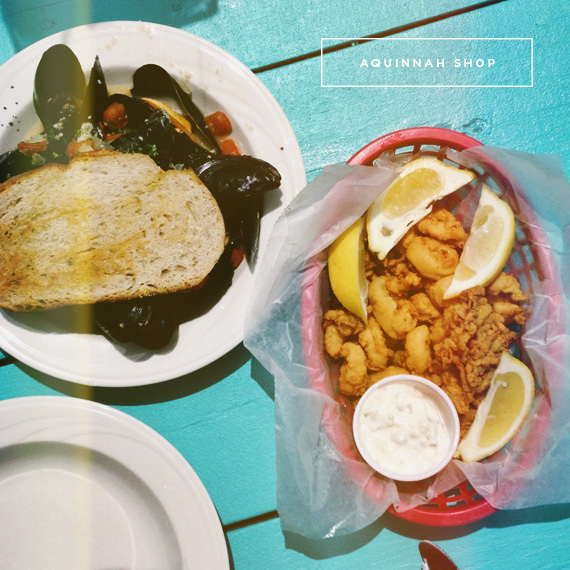 AQUINNAH SHOP RESTAURANT (aquinnah) there are only a few options for food around the beach, and the shop restaurant is the only one with the perfect view. we stopped in for mussels and calamari. watch out for seagulls. GIORDANO’S (oak bluffs) don’t mistake the oil cloth tables for just a boring tourist trap. 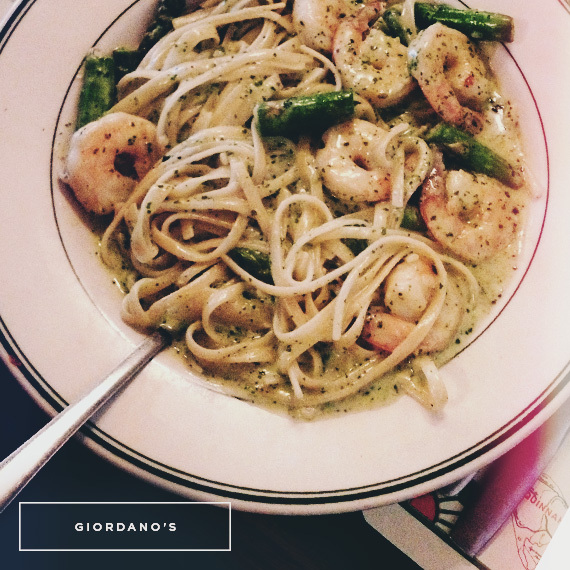 gio’s will surprise you with the quality of food. they also have a take out shop next door to the restaurant if you want to just pick up some fried clams. 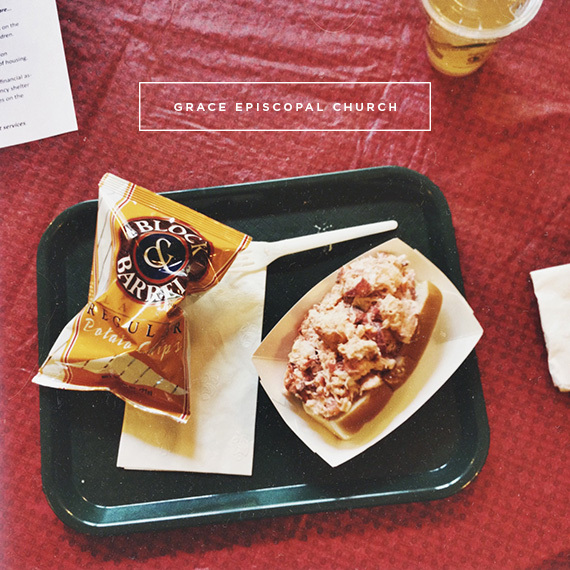 GRACE EPISCOPAL CHURCH (vineyard haven) on fridays from 430 – 730, the little church serves lobster rolls and pie. it’s worth going if just for the experience. 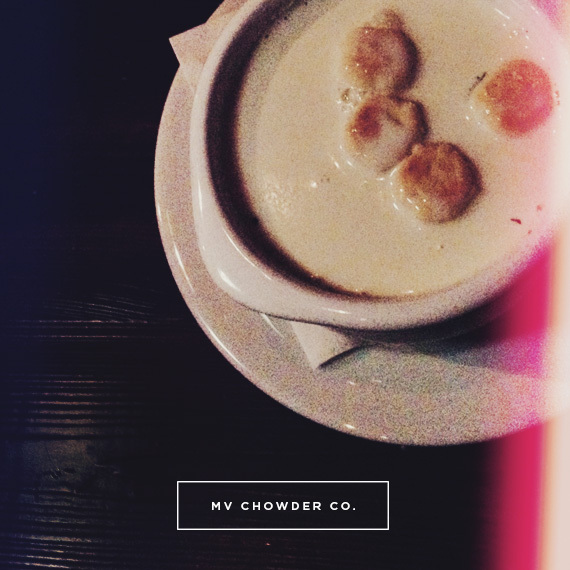 MARTHA’S VINEYARD CHOWDER CO. (oak bluffs) definitely my favorite clam chowder on the island. 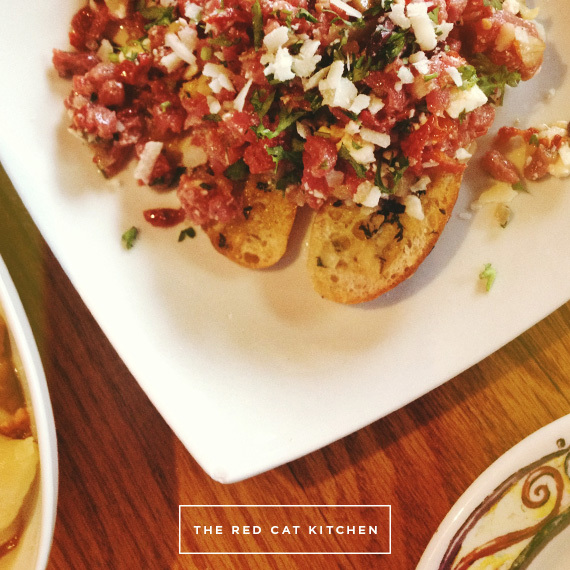 THE RED CAT KITCHEN at KEN & BECKS (oak bluffs) rich, artfully done food. i recommend the steak tartar and the island fresca soup. 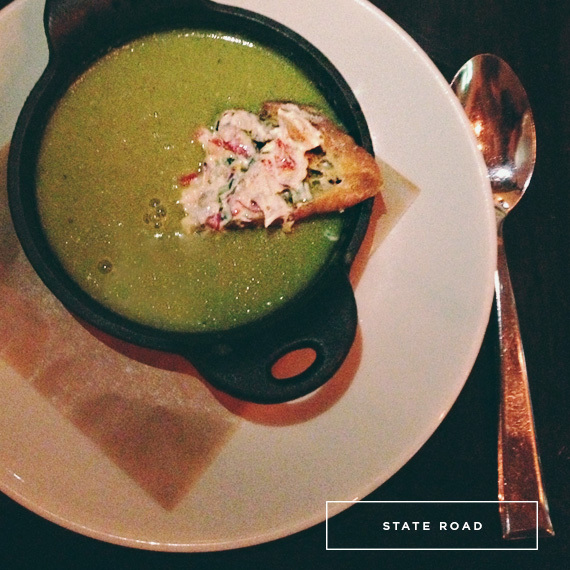 STATE ROAD (west tisbury) super fresh ingredients and a rustic vibe set this place apart. you enter the restaurant through from the back after you walk through their herb garden. the pea soup is amazing. i also recommend the quahog fritters and the burger. 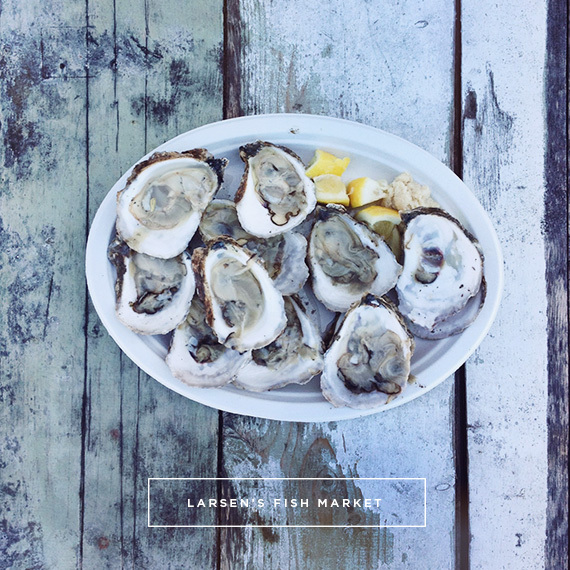 LARSEN’S FISH MARKET (menemsha) a tiny fish market full of huge filets of fish and lobsters. we went and had a dozen oysters shucked to go and a lobster roll. 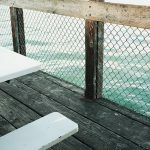 eat your food outside on the wood benches and feel like a fisherman. 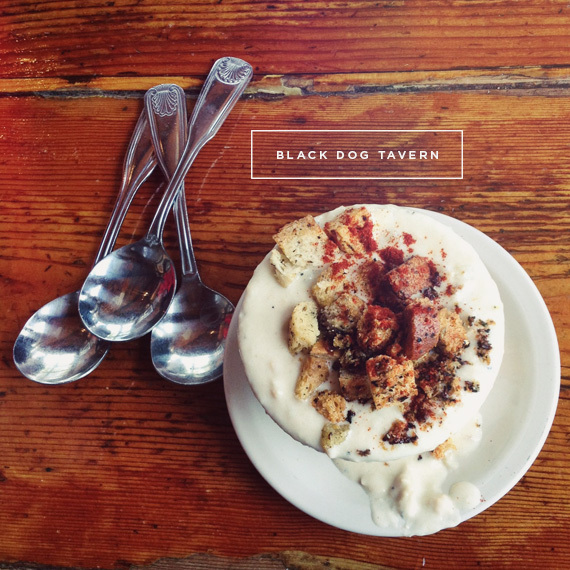 BLACK DOG TAVERN (vineyard haven) i love the black dog bakery as well, but the tavern is a super rustic wood beamed restaurant right off the dock that to me feels like the epitome of the island. i love the quahog clam chowder, the crab cake sandwich, and the lobster roll here. JIMMY SEA’S PAN PASTA (oak bluffs) has been my familys all time favorite dinner spot, but is unfortunately closed and supposedly has been bought. check if it’s open and have a big pan full of pasta for me. LINDA JEAN’S (oak bluffs) is another pretty good breakfast / lunch spot. i like the breakfast sandwiches and the lobster roll. MAD MARTHA’S (vineyard haven & edgartown) favorite ice cream on the island. 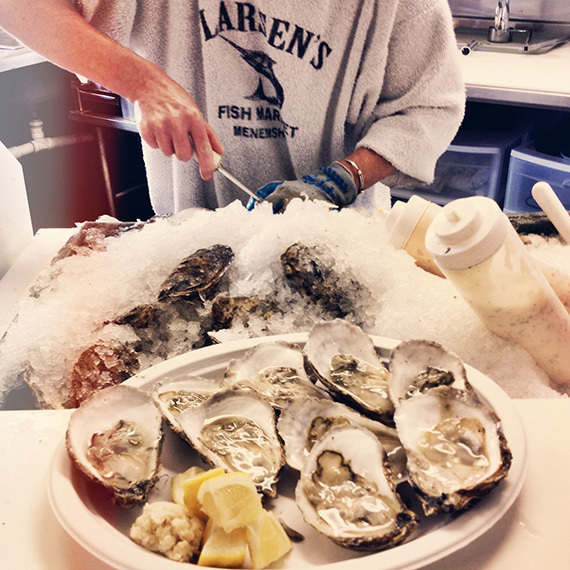 NET RESULT (vineyard haven) pick up some food to go or some really fresh seafood to cook at home. ~ there are various towns and beaches throughout the island. they all have their own personalities and sights. so make sure to visit all of them. and unfortunately, we came for a rainy week. there would be many more beach photos if it hadn’t been. 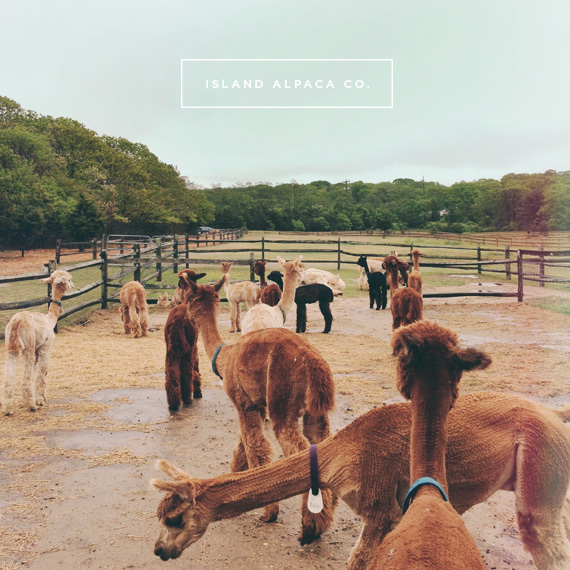 ISLAND ALPACA CO. (vineyard haven) have you ever seen an alpaca? jesus christ they’re cute. totally worth $5. make sure you get a kiss from il bacio, the flirtiest alpaca we encountered. 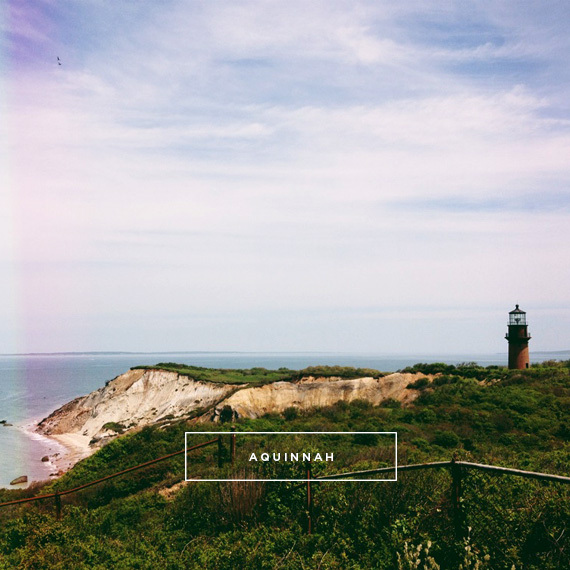 AQUINNAH (gayhead) gorgeous views and beach. if you can, stay for an incredible sunset. LIGHTHOUSES the lighthouses of the island, like the towns they reside in, all feel unique. 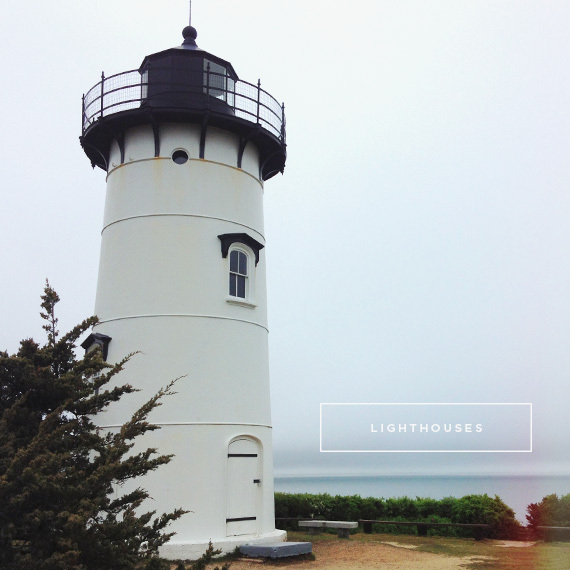 we live near the east chop lighthouse in oak bluffs, so that’s my favorite, but you can visit them like a scavenger hunt. west chop, edgartown, aquinnah & gayhead are all accessible. 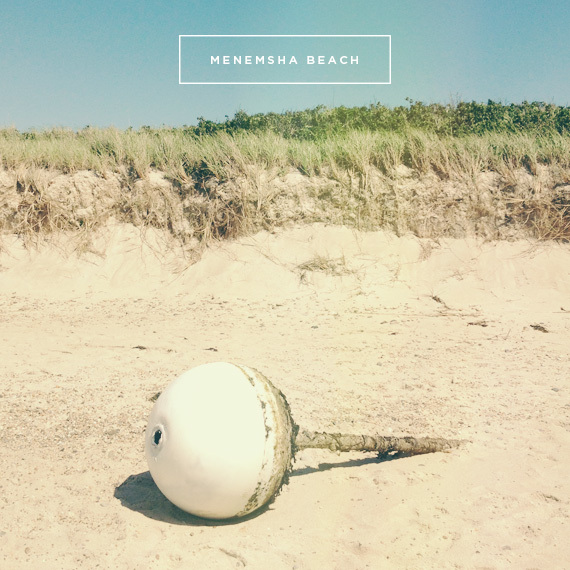 MENEMSHA this little beach and tiny town feel so remote and authentic. there are a few little shops on the road and the beach is another beautiful spot for a sunset. 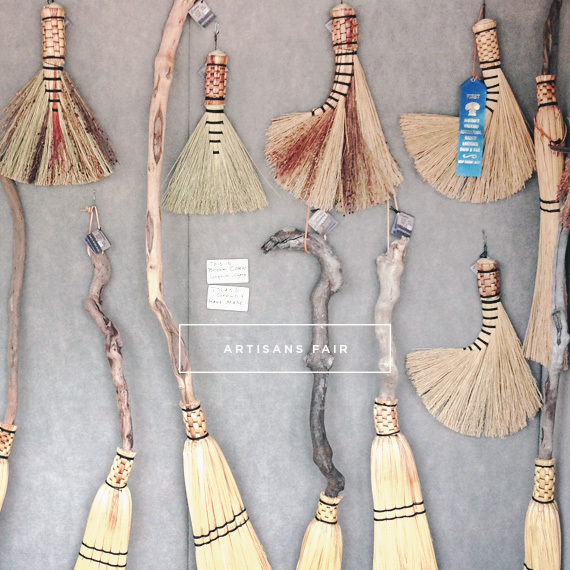 ARTISANS FAIR (west tisbury) check the calendar for all events your trip, but i believe twice a week you can peruse the local goods of the island artisans. 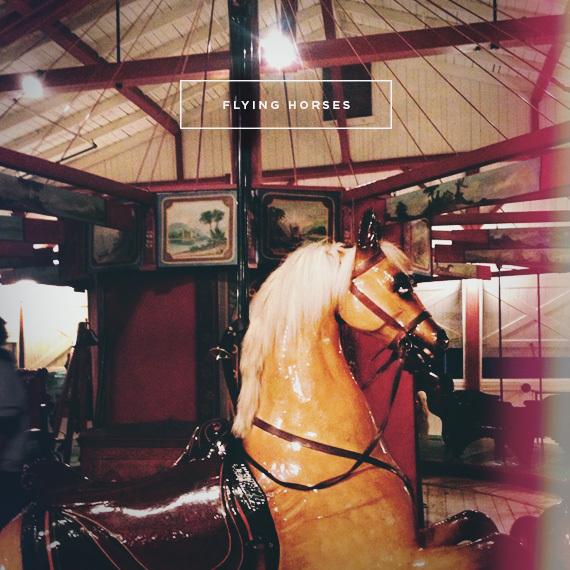 FLYING HORSES (oak bluffs) the oldest carousel in the country, this is a must-visit. stop in and ride the horses while trying to grab brass rings (if you get the last one, you get a free ride). 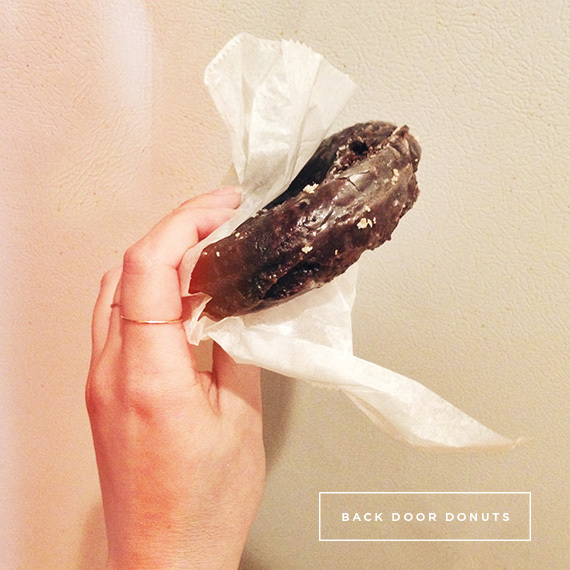 BACK DOOR DONUTS (oak bluffs) when the marthas vineyard bakery shuts its doors for the day, they open up the back door from 730pm – 1am and serve the best steaming hot donuts to the very long line of hungry people. you have to have at least one on your trip. 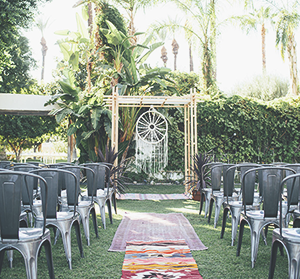 it is WORTH THE WAIT. 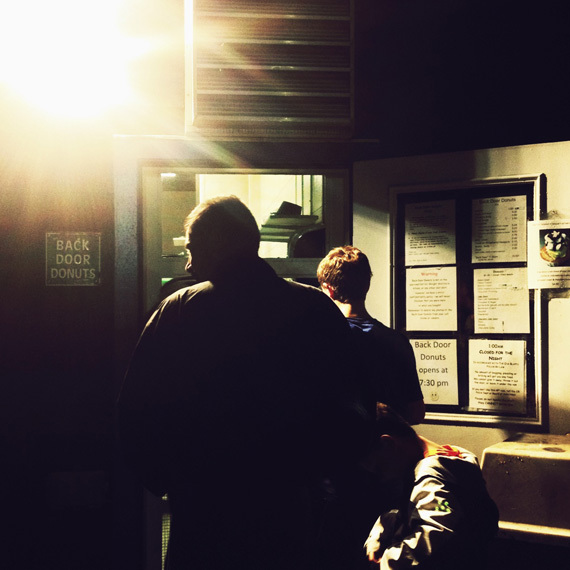 and the intoxicating aroma of hot donuts will keep you waiting. my favorites are the chocolate glazed and the very large apple fritter. these are the best donuts i’ve ever had no joke. 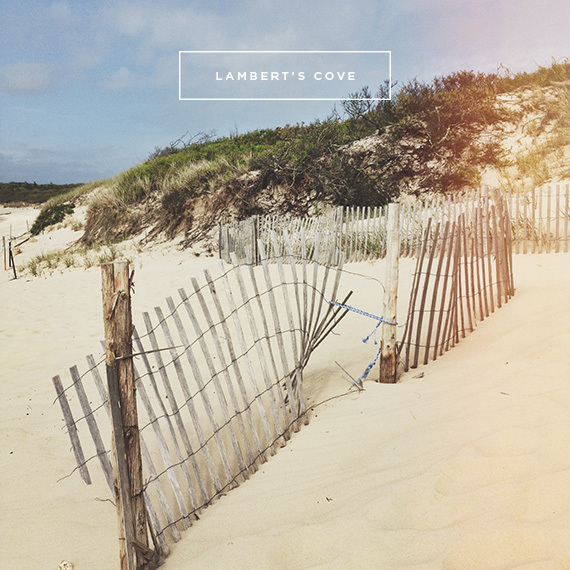 LAMBERT’S COVE BEACH (west tisbury) all of the islands beaches are gorgeous, but lamberts cove has a special remote feeling. it’s a long walk to the water through a tree lined path. 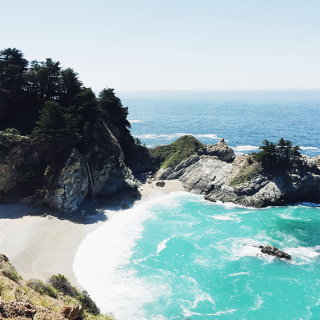 the beach is private, so try to stay out of trouble. 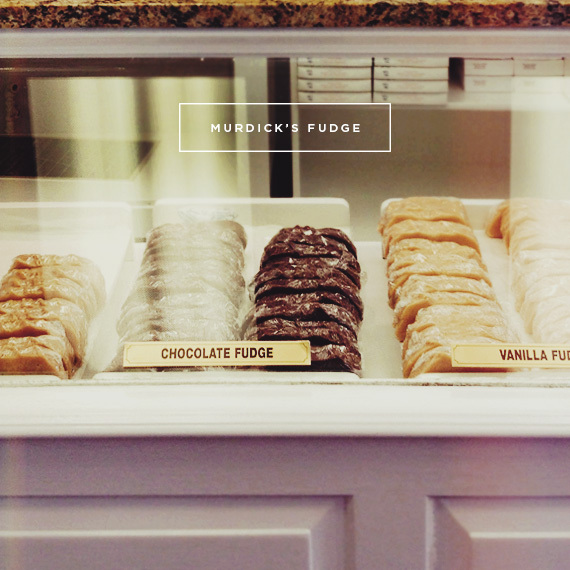 MURDICK’S FUDGE (locations all over the place) an island must, stop in and get a piece. don’t worry, you can get a half a piece. i LOVE the vanilla fudge. WEST TISBURY FARMERS MARKET if you’re staying in a house, pick up some fresh island produce. SEAWORTHY GALLERY (vineyard haven) a tiny little gallery with the beautiful island photography of jeffrey serusa. 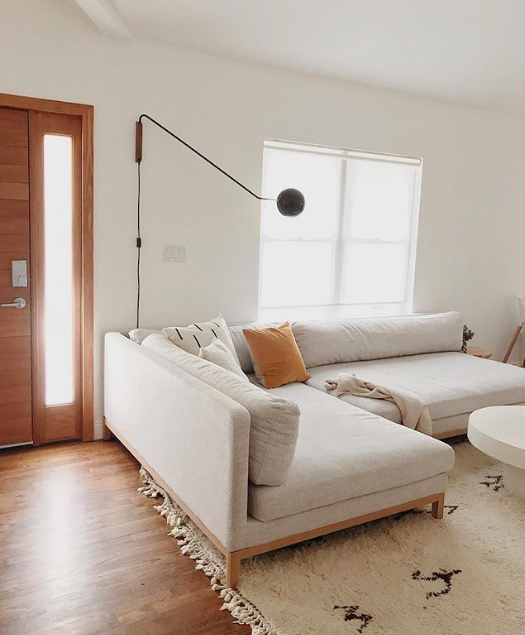 across the street from artcliff – so if you’re waiting for a table, stop in. THE GRANARY GALLERY (west tisbury) showcases the islands artists in a red barn. BLACK DOG TALL SHIPS go for a sunset sail and bring some wine. LUCY VINCENT BEACH only open to the public during the off season, but try sneaking in and enjoy this beautiful private beach. 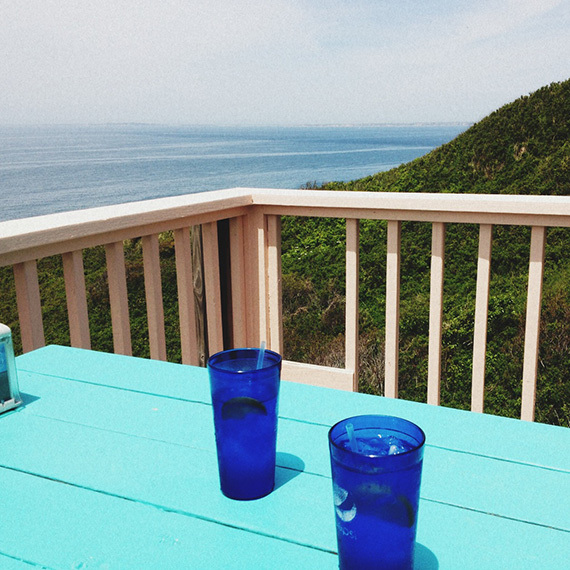 ~ there are countless shops around the island, but for a shopping day you’ll want to hit vineyard haven and edgartown. 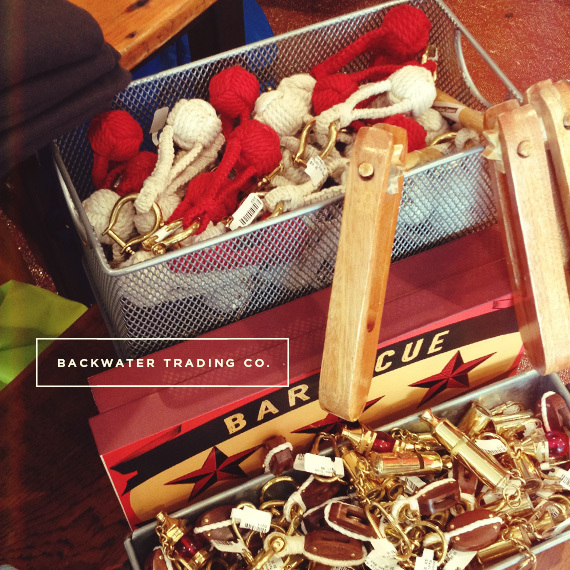 BACKWATER TRADING CO. (edgartown) very nautical themed and full of fun gifts. 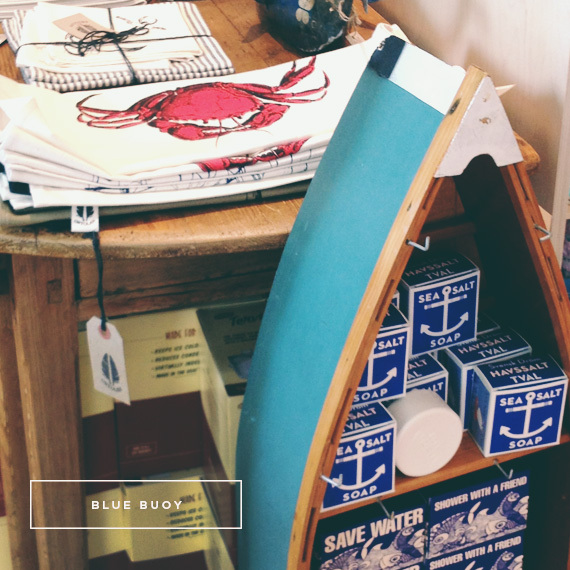 BLUE BUOY (edgartown) gifts, home goods, clothing. 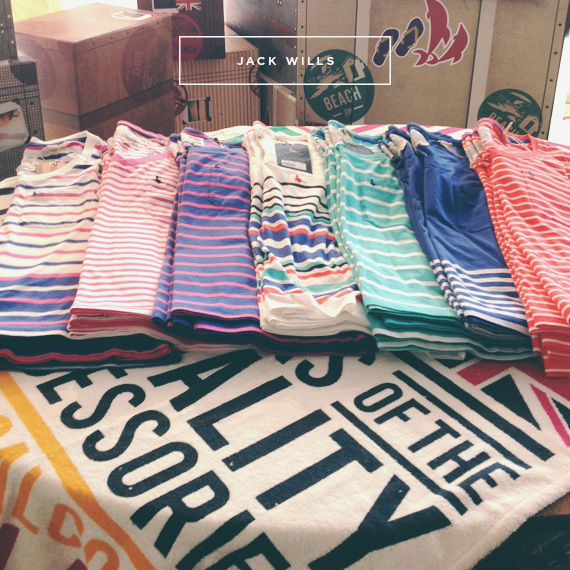 JACK WILLS (edgartown) a british shop full of bright and fun preppy summerwear for men and women. 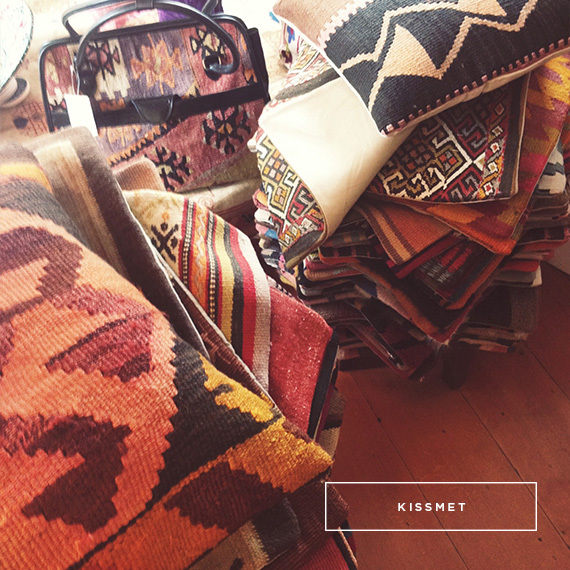 KISSMET (edgartown) kilim heaven. need i say more? 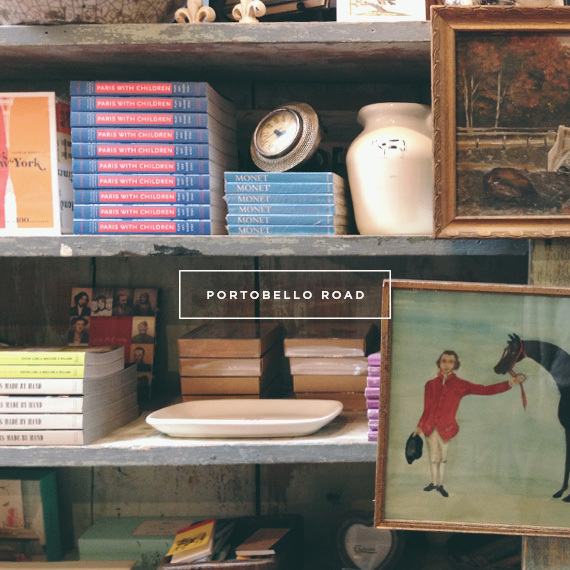 PORTOBELLO ROAD (edgartown) an adorable gift and book store that also sells some great art and vintage goods. 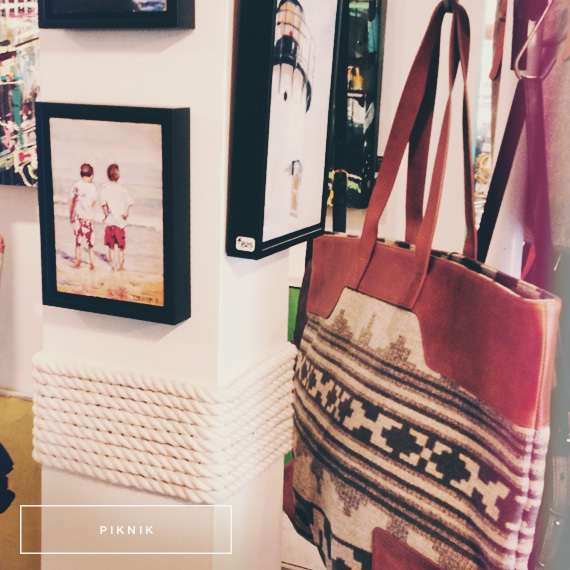 PIKNIK (edgartown) a well curated tiny little shop that sells womens clothing, accessories and original art. 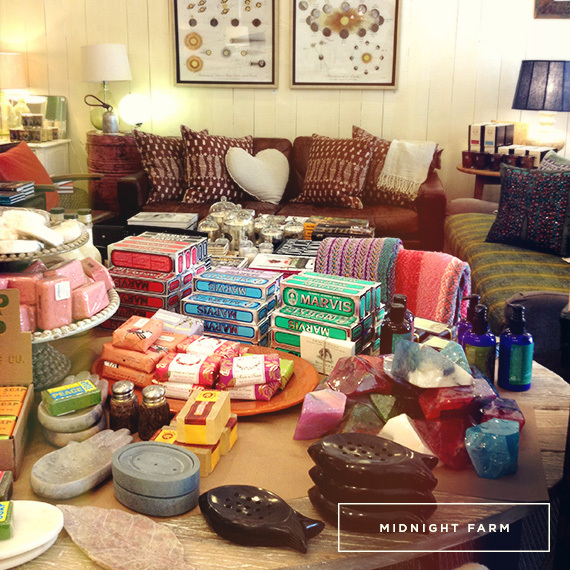 MIDNIGHT FARM (vineyard haven) my favorite boutique on the island and co-owned by carly simon, it’s stacked to the brim with home decor, books and clothing. 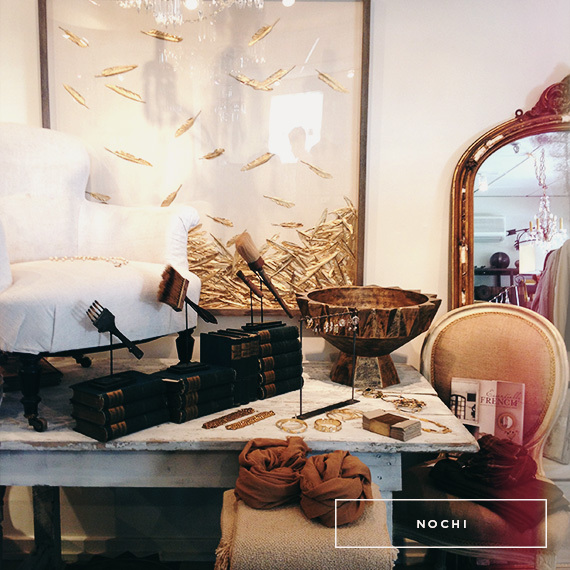 NOCHI (vineyard haven) a beautiful monochrome shop with clothing, jewelry and home goods. tell molly that molly sent you. 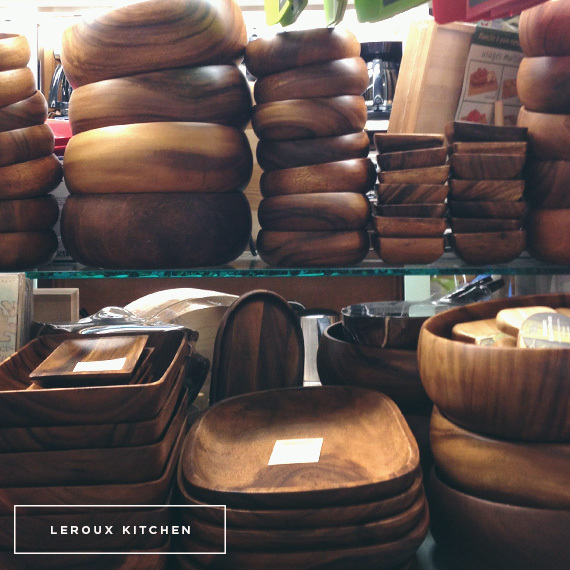 LEROUX KITCHEN (vineyard haven) a little kitchen shop FULL of goodies and kitchen essentials. 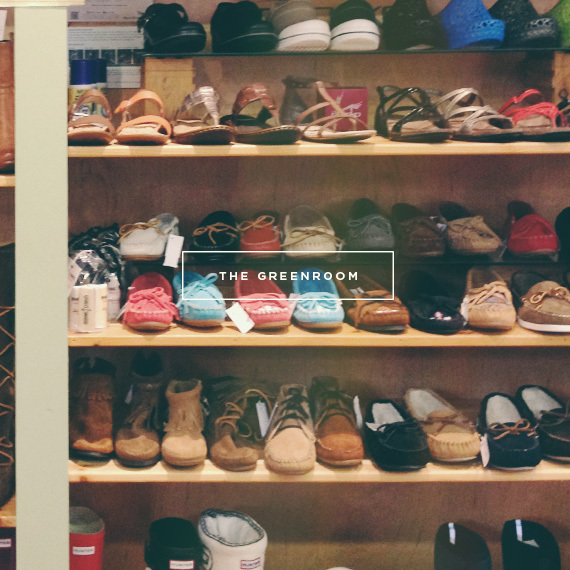 THE GREENROOM (vineyard haven) where i always shopped as a kid, and i still love it. surf and skater wear. 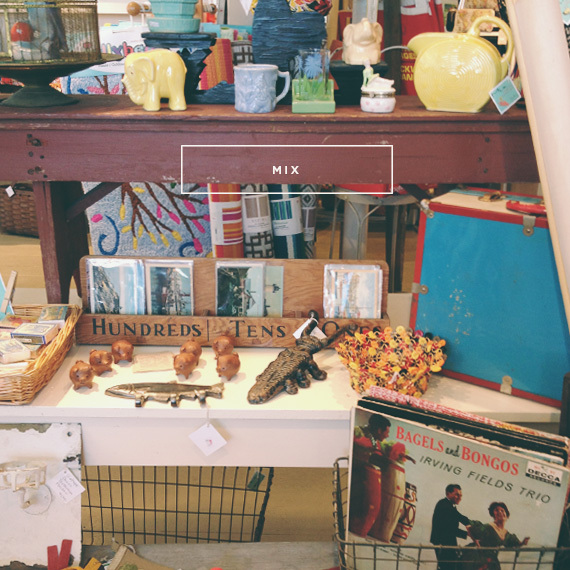 MIX (vineyard haven) a shop full of vintage finds at great prices and fun gifts. i don’t think i’ve ever left here empty handed. hope you visit my favorite little island and your trip is that much better because of this guide. An incredibly accurate elegant and FUN way to help direct people to best use their time on MV..GREAT JOB Mol.. 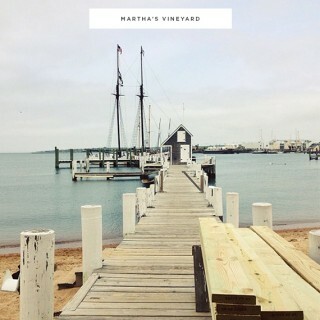 I looove the vineyard! I have a bunch of friends who grew up and still live there! I have gone the past few summers and can’t wait to go later this summer! 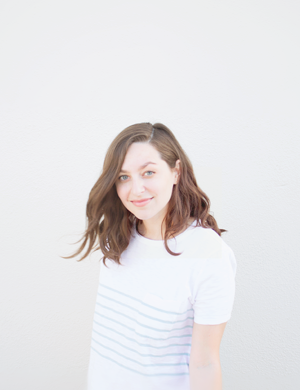 Great guide here! + oops i totally knew that! will fix in post. thanks.